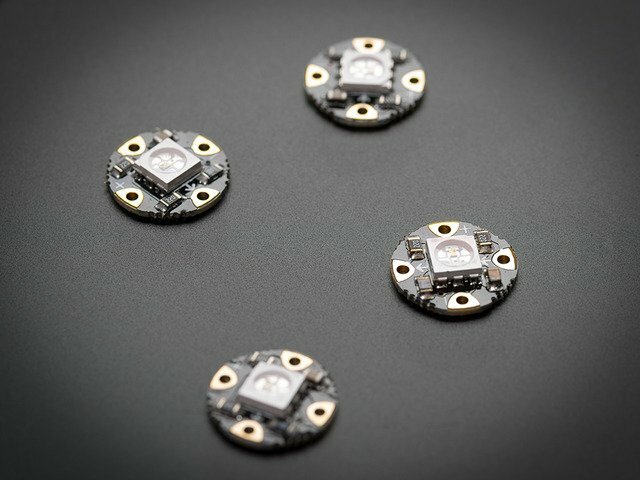 What's a wearable project without LEDs? 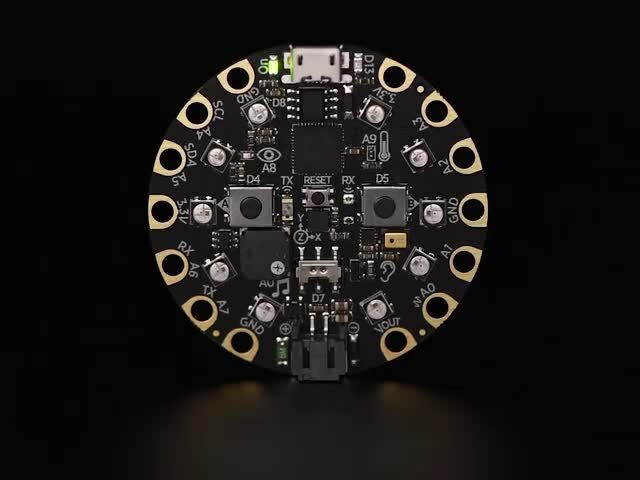 These tiny smart pixels are our favorite thing. 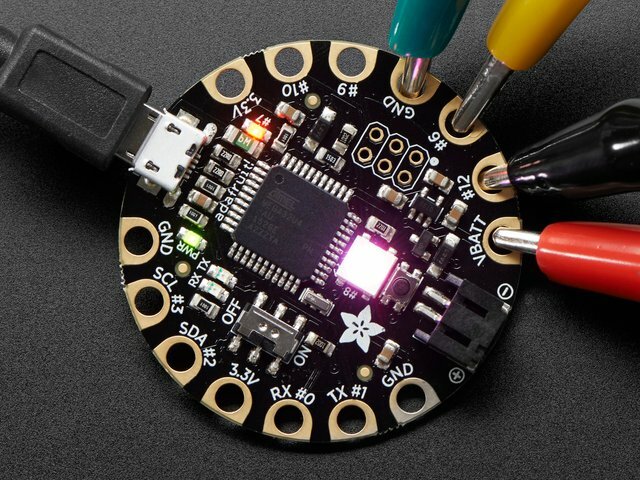 Designed specifically for wearables, we found the brightest RGB LEDs available (an eye-blistering ~3800mcd) and paired them with a constant-current driver chip. 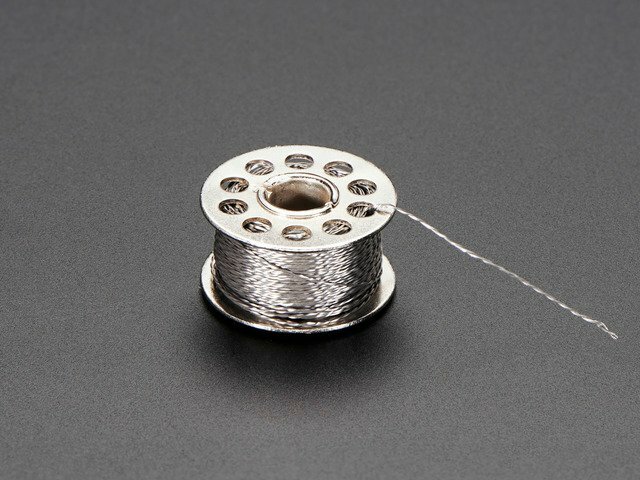 The contacts are easily sewn with conductive thread. 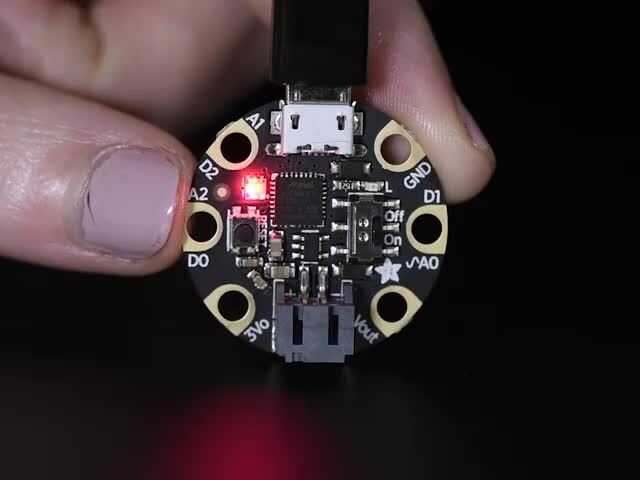 Use this guide to test your first pixel and start on a blinding wearables project with Circuit Playground Express, FLORA or GEMMA! 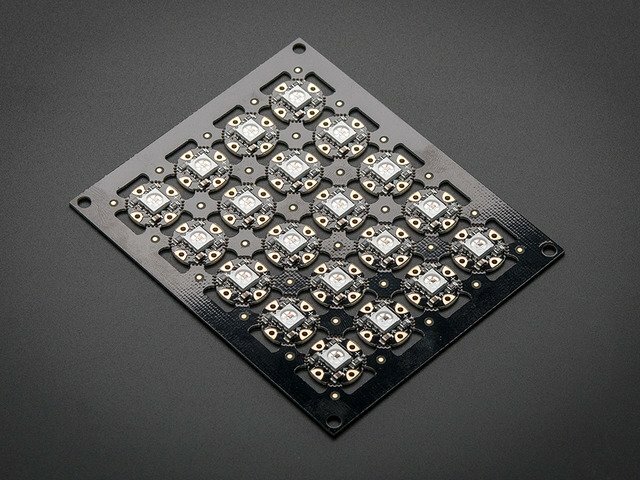 Each pixel draws as much as 60mA (all three RGB LEDs on for full brightness white). In theory, FLORA can drive up to 500 pixels at 30 FPS (above which it will run out of RAM). Circuit Playground Express can drive more than that. 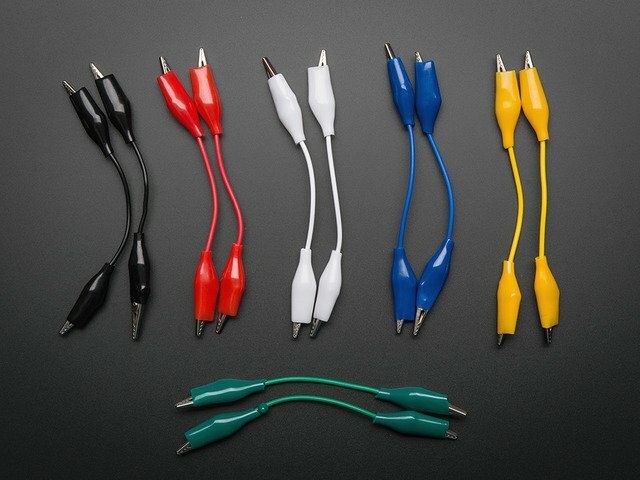 However, above about 20 pixels (and/or if the overall length of conductive thread exceeds ~6 feet/2 meters), the nontrivial resistance of the thread adds up and can affect the power supply. 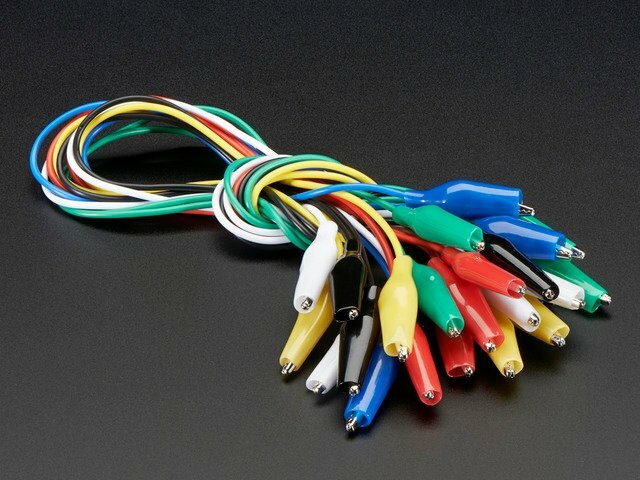 For large quantities of pixels over 20 or if you need to insulate your circuit, you should upgrade to silicone coated stranded core wire, which will provide better conductivity for the pixels - the current draw will add up fast! This tutorial will cover the current v2 pixels as well as the older v1 pixels. The sewing part is the same for both versions, but the library code is different because the controlling chipset has been upgraded in v2. Pixels purchased after February 2013 are v2. This guide was first published on Nov 08, 2012. It was last updated on Nov 08, 2012. This page (Overview) was last updated on Apr 17, 2019.